Runner games have become quite popular in recent years. For those who don’t know these games offer you to run and avoid obstacles on your way, reaching the goal and progressing to another level that will challenge you. With so many running games available nowadays, finding an exciting one can be quite tricky. To help you, we searched and discovered one incredibly fun princess adventure running game where you can win different valentine day cards. Let’s see what the game offers you. This is one very entertaining and challenging running game that is easy for playing and suitable for both adults and kids. 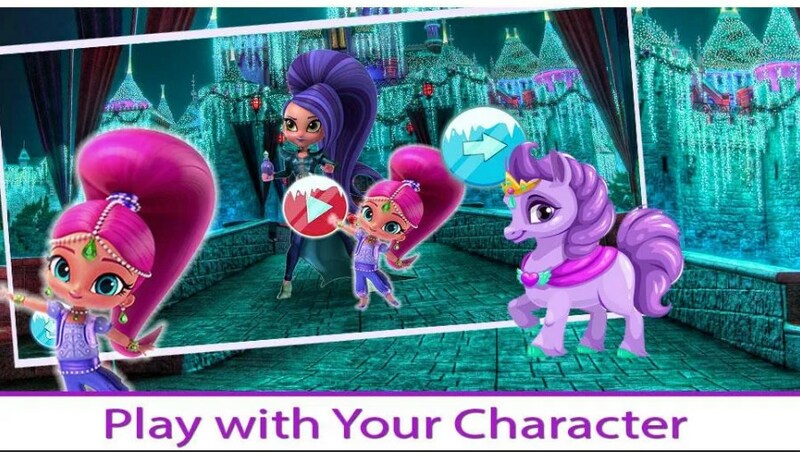 Developed on android platform, offering players to have fun running with their princess character while winning valentine day cards and enjoying the gorgeous HD graphics and HD music. The players need to run and jump through the magical world, saving the princess from the evil castle and bringing her to the jungle with yellow roses. When the princess is saved the players get their valentine day cards and get the chance to challenge their skill on another adventure levels as well. Princess Horse Adventure is offering its players to have fun and enjoy the running mode while challenging them to save the princess, escape the castle and bring the princess by running to the jungle of yellow roses. Players need to help the princess by tapping the screen to jump and dodge all the obstacles on the way, running as fast as possible. In each level, players need to collect gold coins and when they save the princess they will win their valentine day cards. With over 100 levels available, players will get to choose between 4 character modes and enjoy the challenging runner gameplay helping their princess character escape. All the players must be careful not to enter the temple. On the game are offered many different power-ups and upgrades the player can use to successfully save the princess and bring her to the jungle. The players that will pass as many levels as they can and win as many cards as possible will get the highest scores. Download this game for free on Google Play now to save the princess and bring her to the jungle!